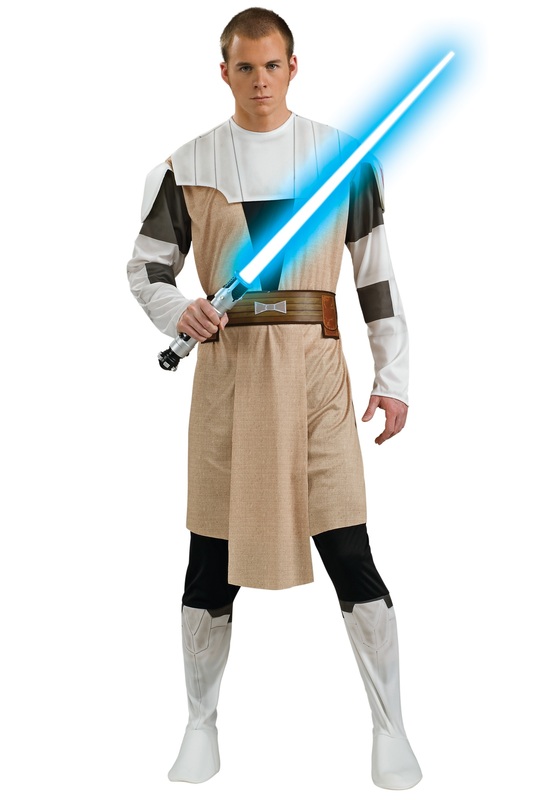 Become an influential figure within the galaxy with this Adult Obi Wan Kenobi Clone Wars Costume. 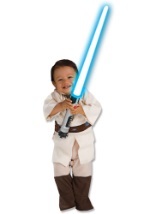 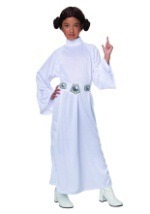 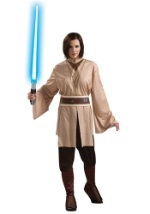 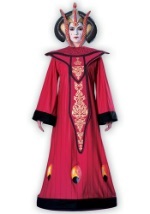 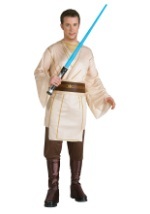 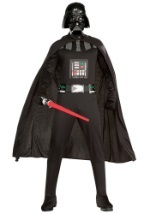 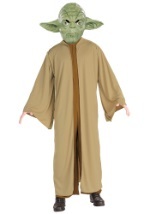 The Star Wars costume features a tan tunic with white and black sleeves and a decorative polyester/foam neckpiece. 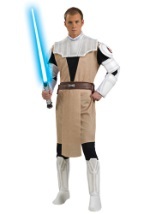 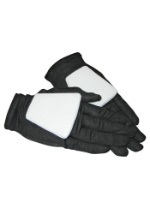 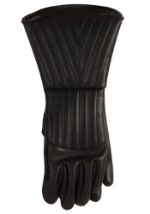 The matching pants come with attached white foam boot covers. 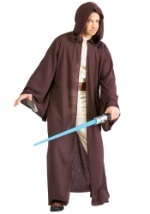 Also included is the brown poly/foam belt, which ties behind the back. 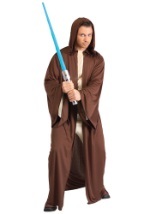 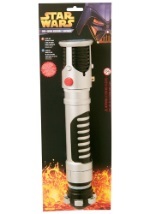 Remember to add a lightsaber to complete this great costume!